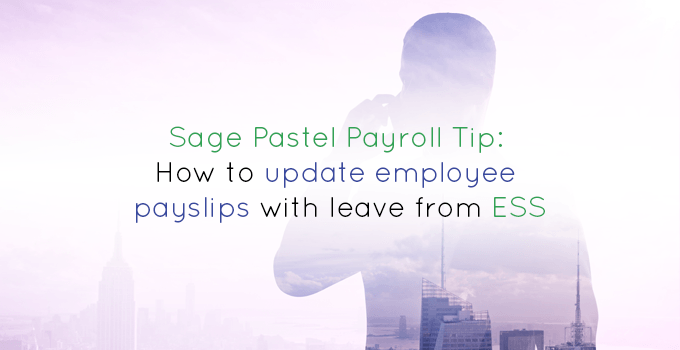 Your Sage Pastel Payroll Advantage has the useful function of ESS (Employee Self-Service), empowering your staff to manage and apply for leave online – which saves you a lot of time and paperwork. While ESS is a fantastic tool, it can happen that the leave days do not reflect correctly on the employees’ payslip. This can cause confusion for the staff member and a lot of manual work for you to correct it. Don’t worry – we have the solution for this problem! Simply follow the easy steps below to get it sorted. Before you start: On Self Service please ensure that all leave for the current period has a status ‘Posted to Batch’ before proceeding with the steps below. 2. The below screen will show all leave downloaded from ESS. 3. Select the leave to be included in the leave batch for the current period. Then select create batch. Important: Please do not include any future dated leave. This leave will remain in this create batch screen to be updated in a future period. 4. Go to Process > Process Batches > Batch Transactions. 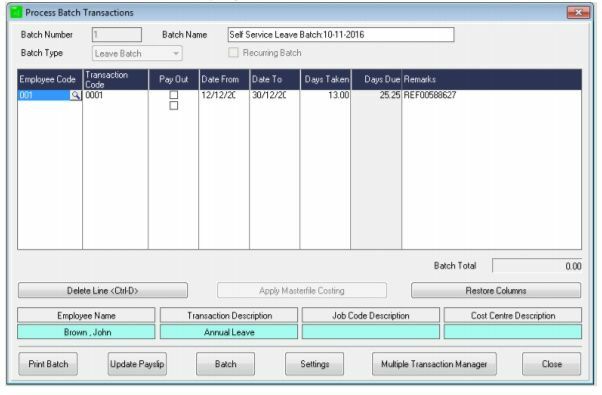 The Self Service leave batch will now appear in the Batch Transactions screen. 8. The below message will display once the once the batch has been updated to the payslip successfully. You are welcome to give the Preferred Solutions Helpdesk a call on 021 945 1279 or email support@prefsol.co.za and we will have you sorted in a jiffy. Please note, service charges may apply but will be communicated to you before-hand. I would like to know if pastel payroll updates your sick leave automatically or if sick leave is a 0 balance do you have to manually adjust on system. example if an employee has been employed for 8 years and now sick leave is 0 days owed has it updated the 36 days over 3 year period.